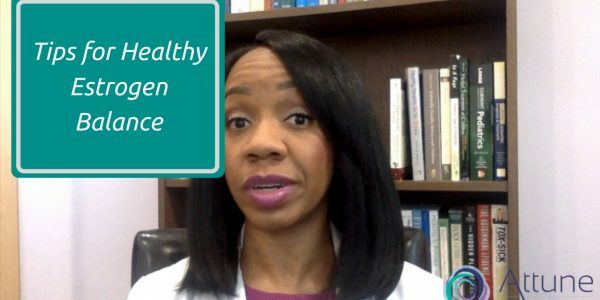 Hi everyone, I want to talk to you guys today about hormone balance and how to make sure that you have healthy levels of estrogen in your body and not too much estrogen. For a lot of women out there, they have symptoms of excess estrogen in the body, such as PMS, heavy periods and breast tenderness. And sometimes it means that they have too much estrogen in their body overall, or it means they don’t have enough progesterone, which is really the byproduct of healthy ovulation, they don’t have enough progesterone to balance the estrogen that they do have. And so today I’m going to talk to you guys about some healthy ways to balance estrogen levels in your body.